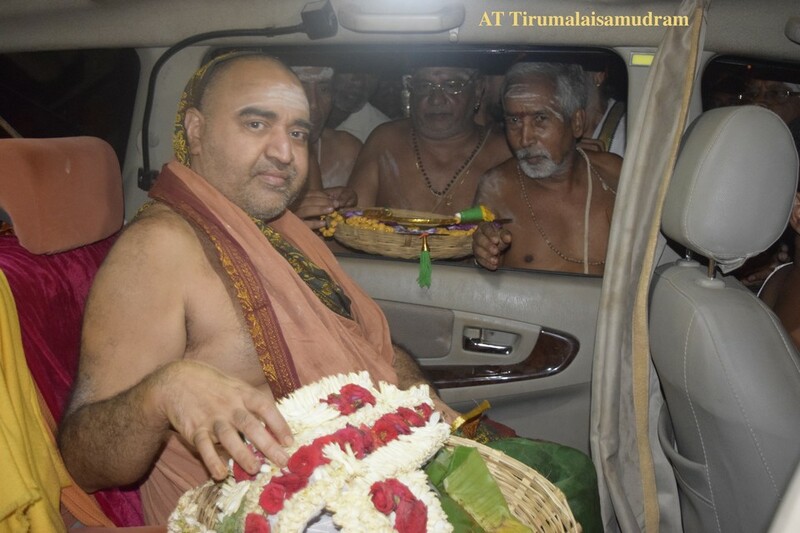 His Holiness Pujya Shri Shankara Vijayendra Saraswathi Shankaracharya Swamigal left Tindivanam in the evening and reached Thanjavur at around 8AM. 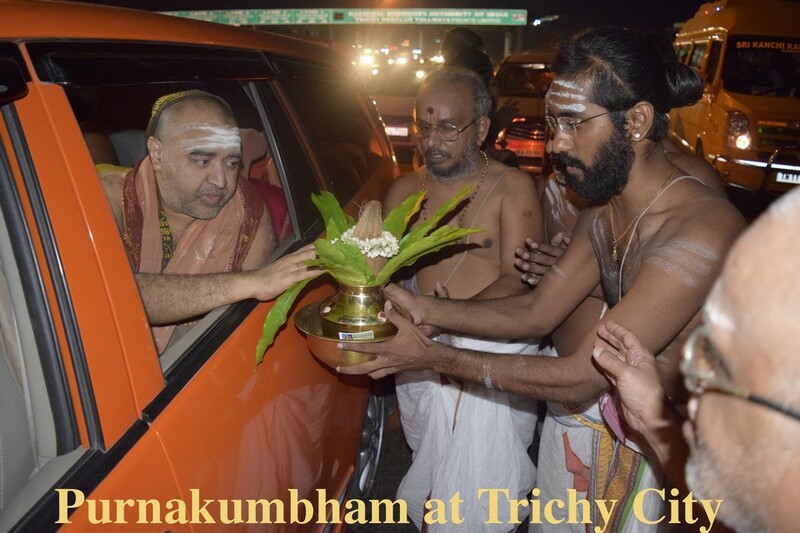 Enroute His Holiness was received by devotees at Villupuram, Trichy, Tirumalaisamudram before entering Thanjavur. 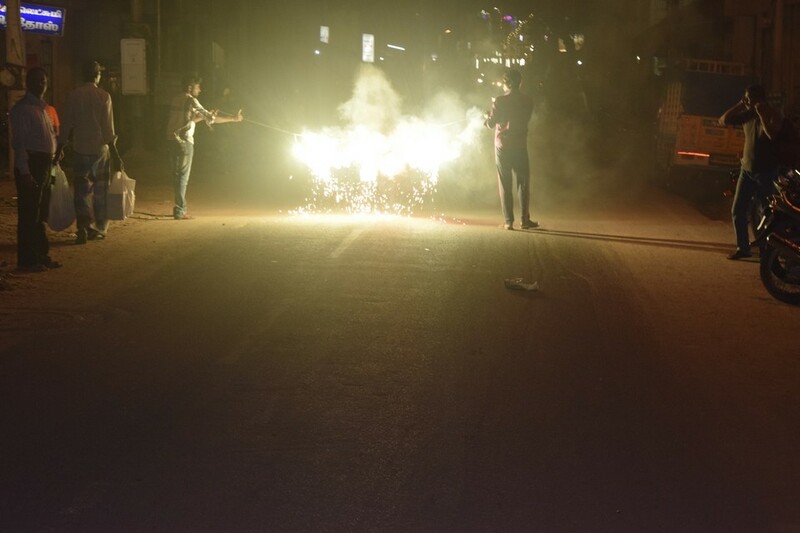 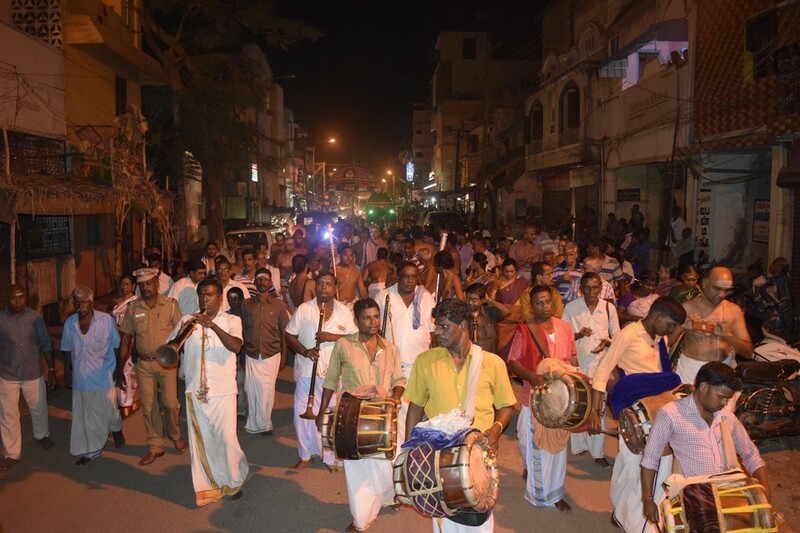 A procession from Kamakoti Oriental School till Bangaru Kamakshi Amman temple was held. 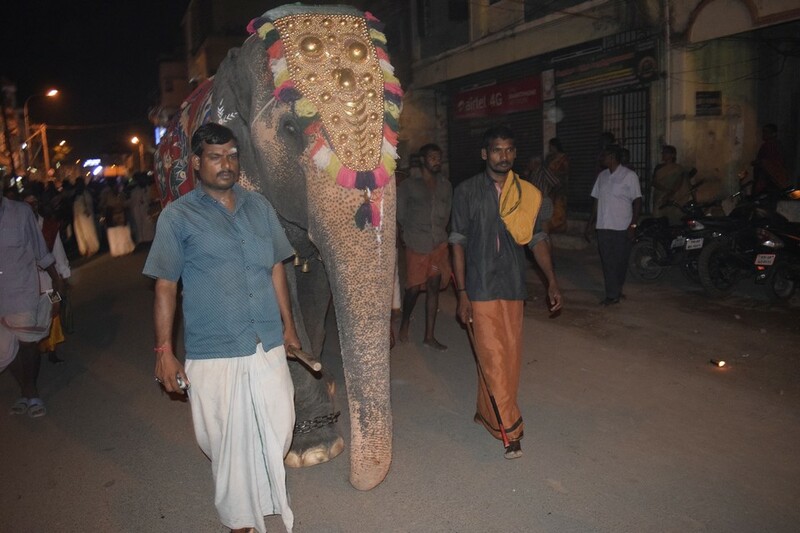 Caprisoned Elephants led the procession along with Mangala Vadayam & Veda Parayana. 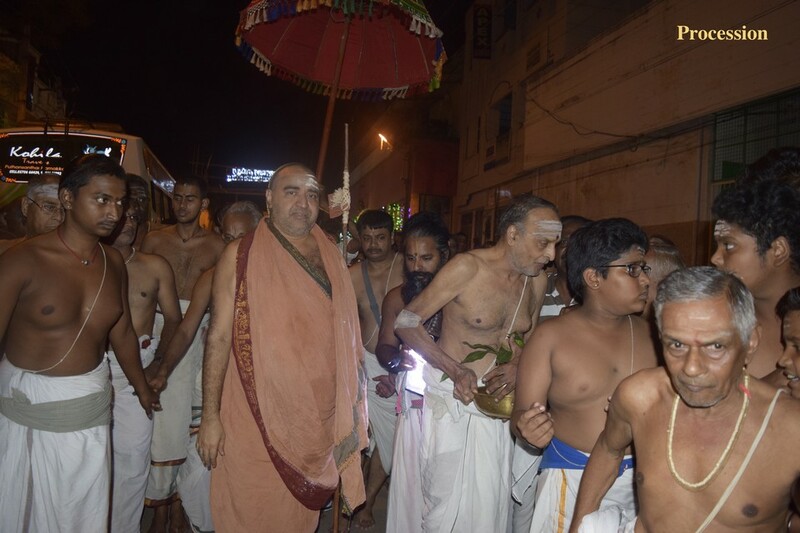 His Holiness visited Bangaru Kamakshi Amman shrine and Yagashala. 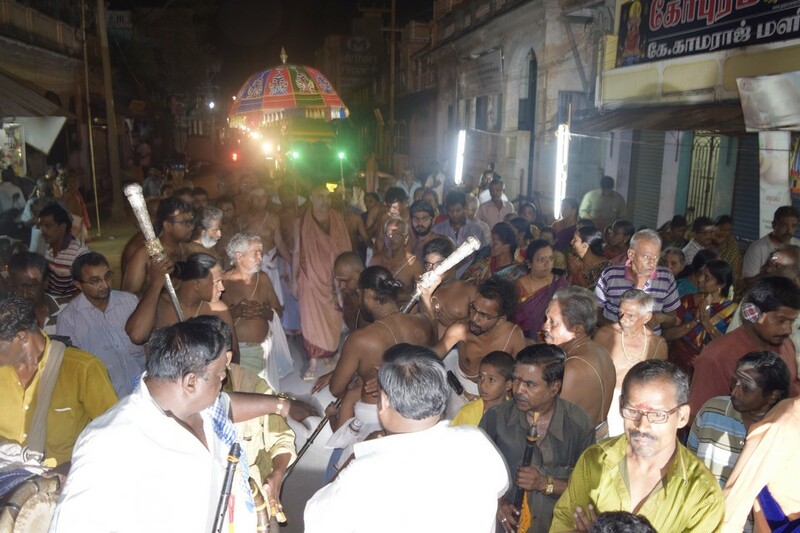 Shri Kunchitapadam, temple Shrikaryam showed to His Holiness various renovation works carried out for Kumbhabhishekam. 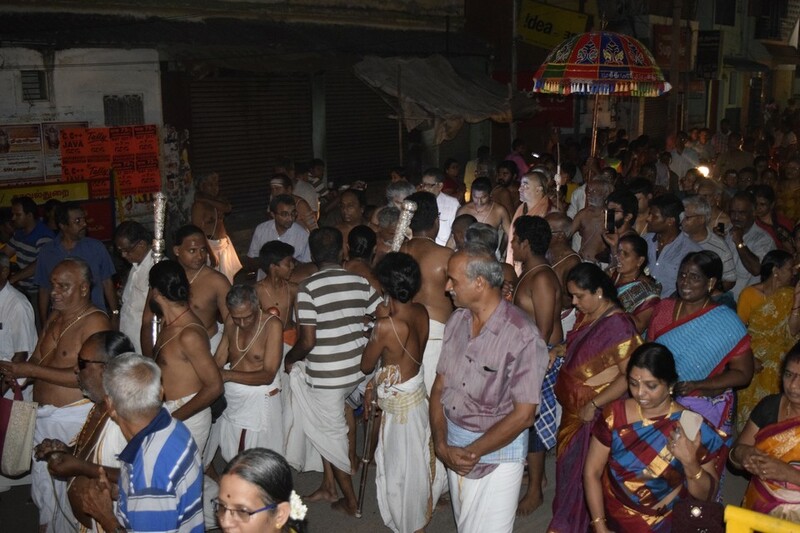 Yagashala harathi was performed & His Holiness gave darshan at the temple entrance..